Good for You. Good for All. This class offers 6 Core and 4 Category 24 credits toward PA Dept. of Agriculture Pesticide Applicator License renewal. The Re-Certification Workshop is for anyone who applies pesticides (chlorine, bactericides, etc.) to any public or commercial swimming pool and is currently certified. This class will focus its attention on the core information, including introductions to pesticides, federal and state laws, pesticide safety, toxicity, health issues, and emergencies, along with pesticide formulations, label content and environmental effects. The content of this class will also discuss information specific to Swimming Pools, Category 24, such as pool calculations, water balance and testing, sanitation/oxidation, filtration, pool and hot tub safety, and pool water contaminates. Attendees will receive 6 Core and 4 Category 24 credits. 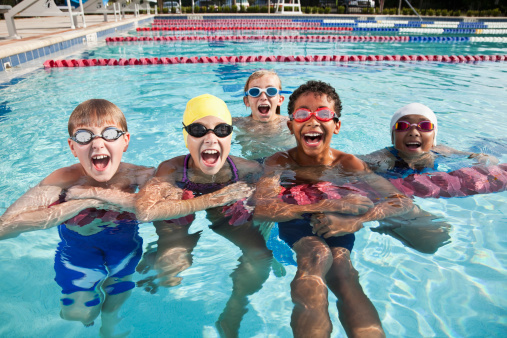 Pool managers, lifeguards, hotel and motel maintenance staff, campground owners, school maintenance staff, aquatic directors, summer camp and day camp pool operators, YMCA/YWCA, employees, or any other person responsible for applying chemicals to a swimming pool. Pesticides are important tools for controlling organisms that can harm our pools. As with any tool, their misuse can pose a threat to human health and environmental quality. It’s important to know how to properly treat our pools, store and handle all chemicals not only to keep our pools safe, but ourselves and others around us. What Information Will Be Covered? 1: Sign in or create a new account. 3: Add session selections to your itinerary under "Program"